The best known of the three Transcaucasian states, Georgia is the mythical land where Jason and his Argonauts came in search of the Golden Fleece. 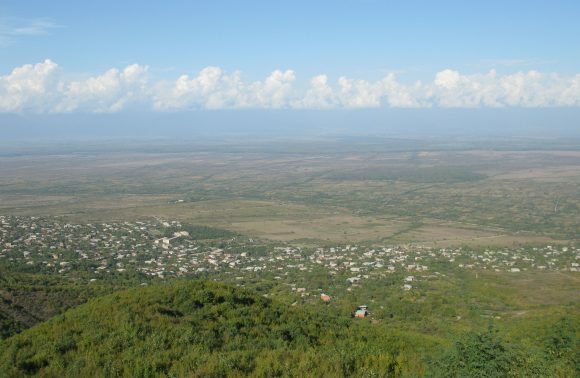 It was also home to the ancient kingdom of Colchis, which played a decisive role in the formation of the culture of modern Georgia, and birthplace of the infamous Josef Stalin, whose life is celebrated in a museum in his hometown of Gori. 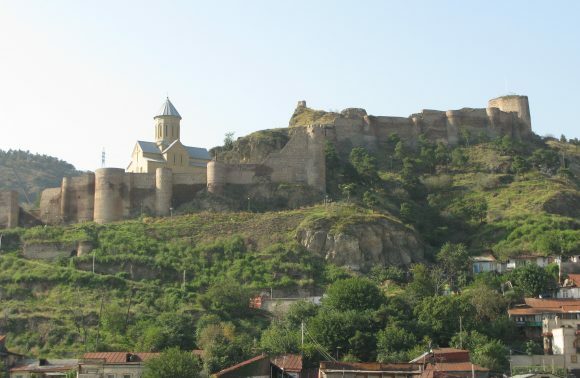 Along with neighbouring Armenia, Georgia adopted Christianity in the 4th century and as a result it has inherited a wealth of ancient churches and monasteries, including the fortified church at Ananuri and the World Heritage Site of Mtshkheta, an ancient city considered to be the birthplace of the Georgian Orthodox Church. 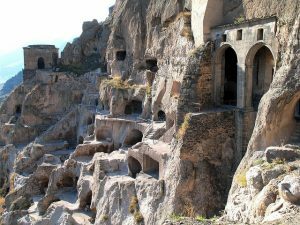 Many of these religious sites occupy beautiful locations, and the rock-hewn monasteries of Vardzia and Davit Gareja are particularly spectacular, as is the Holy Trinity Church at Gergeti, set against the backdrop of the Caucasus Mountains. The mountains themselves contribute to Georgia’s varied landscape, and make it a walker’s dream, with many stunning treks on offer in the alpine meadows surrounding Kazbegi. The Georgians themselves are extremely hospitable, with a very European outlook, and anyone who visits their country is assured of a warm welcome, along with excellent home-cooked food and local wine – Georgian meals are traditionally accompanied by much toasting to ensure the enjoyment of all! 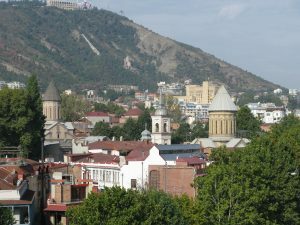 Located on the banks of the Mtkvari river Georgia’s capital, Tbilisi, is home to some 1.5 million people. Founded in the 5th century Tbilisi occupies a strategic location on the crossroads between Europe and Asia and its history is reflected in its diverse architecture from traditional Georgian to Soviet and stunning modernist, of particular note are the abundance of Art Nouveau buildings. The charming Old Town consists of narrow winding streets lined by traditional houses with wooden balconies and is home to the famous Sulphur Baths and now converted caravanserai, a reminder of Tbilisi’s importance on the Silk Road. Today the city has a vibrant feel with many art galleries, fine restaurants and a lively café culture making it the perfect base from which to start exploring Georgia. The rock hewn monastery complex of Davit Gareja lies some 60kms south east of Tbilisi on the arid slopes of Mtn Gareja. Founded in the 6th century the complex consist of hundreds of cells, churches, chapels and refectories set in a stark almost lunar landscape. Despite being sacked by the Mongols in 1265 the complexes beautiful and unique frescoes survived and are regarded as masterpieces of Georgian art. Rightly regarded as one of Georgia’s most remarkable historical sites an excursion to Davit Gareja is a highlight of any trip to Georgia. 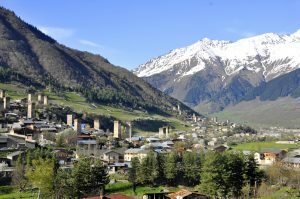 Perched high on the southern slopes of the Central Caucasus Mountains the stunning Svaneti region is a UNESCO World Heritage listed area. The landscape, much of which is above 3,000 metres, is characterised by high mountain peaks separated by deep gorges. The areas long standing isolation has helped preserve its unique architecture with the Ushguli area containing 200 medieval tower houses, churches and castles designed for protection against the frequent marauding invaders. With its stunning scenery and excellent hiking opportunities the Svaneti region is well worth a visit on any trip to Georgia. 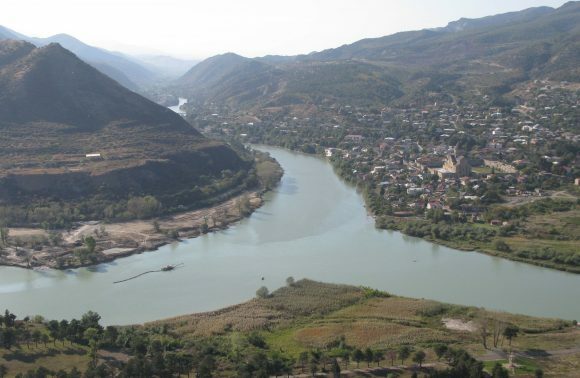 Located to the east of Tbilisi the Kakheti region is Georgia’s premier wine producing area, a tradition thought to date back thousands of years. Much of the wine is produced in the unique Qvevri, clay pots where the wine ferments whilst buried in the ground. The picturesque hill top town of Sighnaghi, with its pastel houses with red tiled roofs and narrow cobbled streets, lies at the heart of this wine producing region and makes for an excellent place for a wine tasting with the famous Pheasant’s Tears winery located close by. The area is also home to some fine historical sites such as Bodbe monastery, a place of pilgrimage for Georgians and Alaverdi Cathedral parts of which date back to the 6th century. 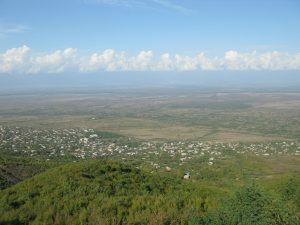 With its gentle Mediterranean climate and fine wines the Kakheti region makes for an excellent visit. Silk Road Tours specialise in private, tailor-made holidays to Central Asia, the Caucasus and the Middle East, and have many years of experience arranging travel to these less visited regions of the world. Our extensive personal experience of travel in these fascinating destinations is coupled with a real passion for sharing their delights with others.